CUPHD recommends e-cigarette-free policies, and assists organizations in going e-cigarette-free. Contact us at tshaw@c-uphd.org for more information or assistance. 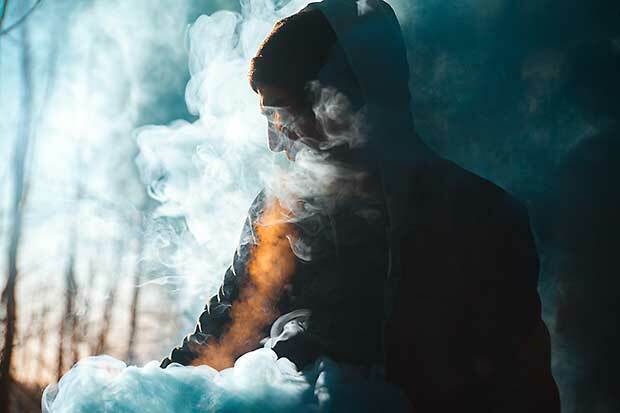 Also, a sample e-cigarette free policy can be found here. CUPHD thanks organizations that protect health by prohibiting e-cigarettes. 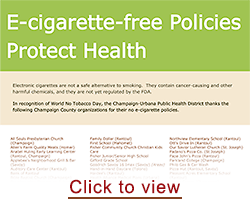 Click here for an updated list of e-cigarette-free organizations in Champaign County. 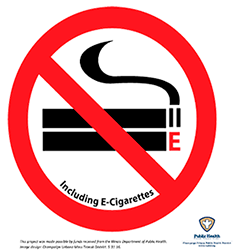 Contact us if you have an e-cigarette-free organization and you would like one of our free window clings.